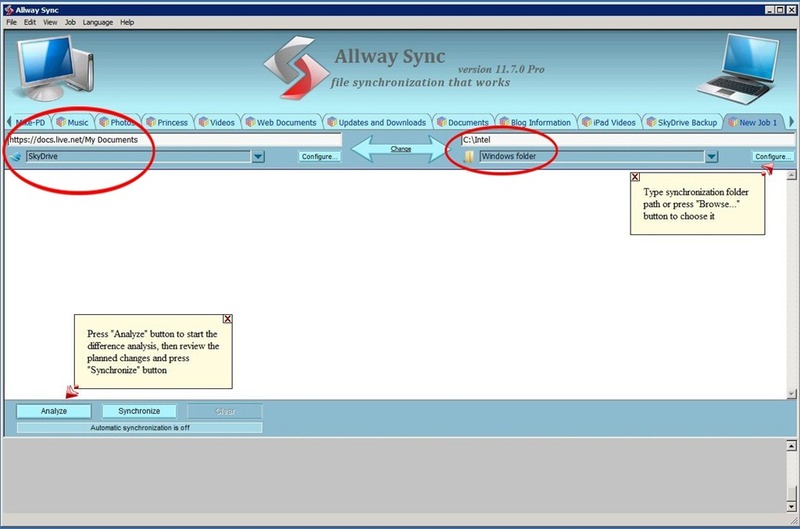 In a recent conversation with Jim Collision on the benefits of using AllwaySync, he pointed out after reading the feature list for AllwaySync, that it contained integration into SkyDrive. Something I had missed despite being a heavy user for years. As you know, SkyDrive gives you 25 Gigs of storage, but offers very few tools and very little integration to take advantage of it. I decided that I would exploit this feature and give it a shot and see how it worked as well as how easy it was to setup. 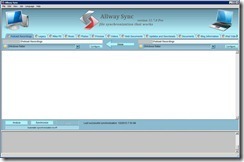 Just to clarify, this talks only about SkyDrive however AllwaySync also supports the following formats and services. 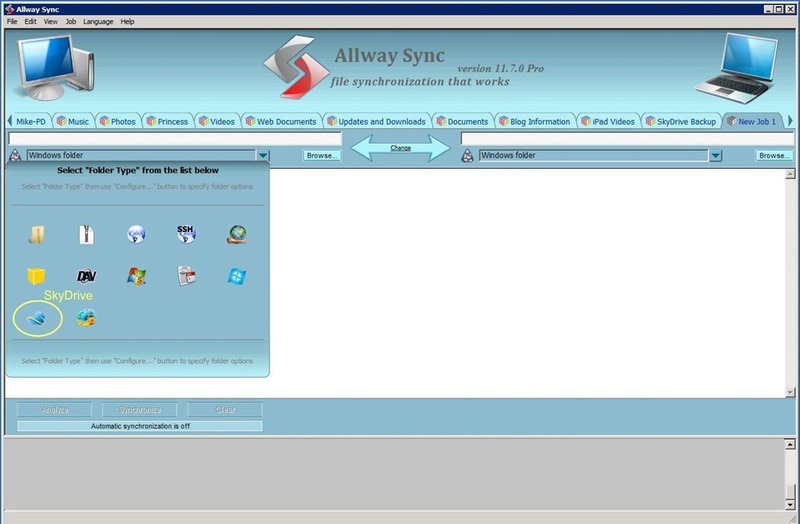 As many of you have seen, this is the main screen that comes up for AllwaySync. 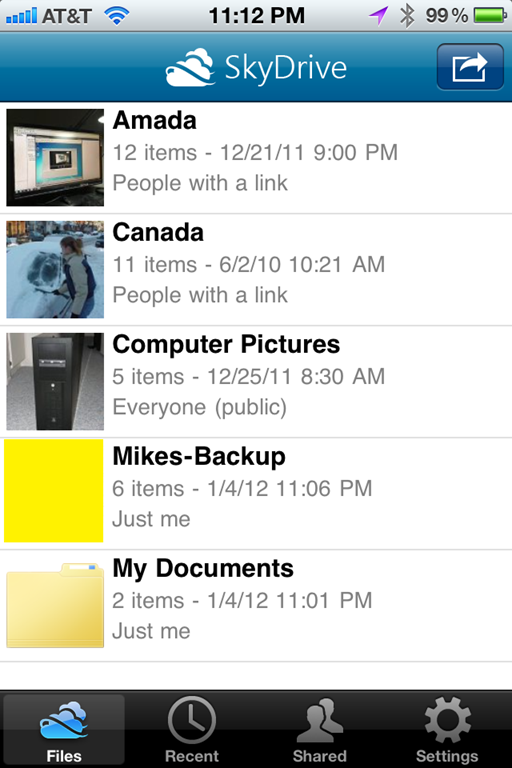 It shows the tabs across the top which indicate a specific folder or job. 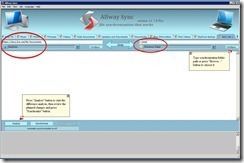 Click here for additional information on using Allwaysync. To test SkyDrive, I added a new job tab. Once you add the new tab, you have to establish the drives/folders to sync. When you select your first location, you are prompted with a choice of services to pick from from a regular folder to one of many services they support (see the image below). 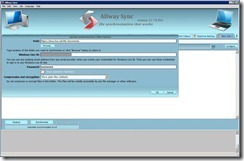 Once you select “SkyDrive”, you are prompted for your live ID. 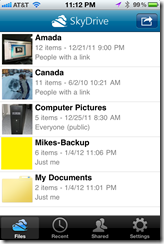 I would suggest not using compression so you can access the files directly via another computer or using a mobile app (see below). Once you input your credentials, select the folder you want to sync with, click “Synchronize” and sit back and relax. Below is what you should end up with. Of course you can modify the default folder assignment on the SkyDrive. 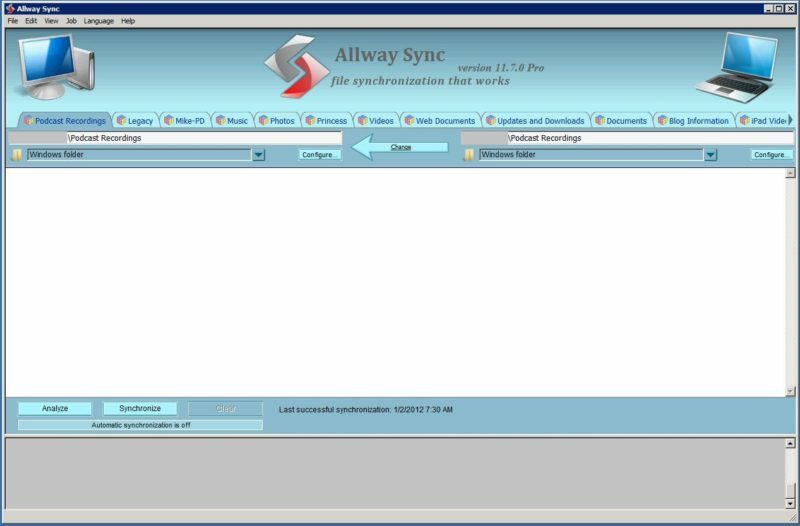 As we mentioned in BYOB 71, Microsoft has a SkyDrive app for IOS and Windows Phone 7 which allows quick access to the files you sync’d with AllwaySync. Very useful if you are synching say a photos folder. 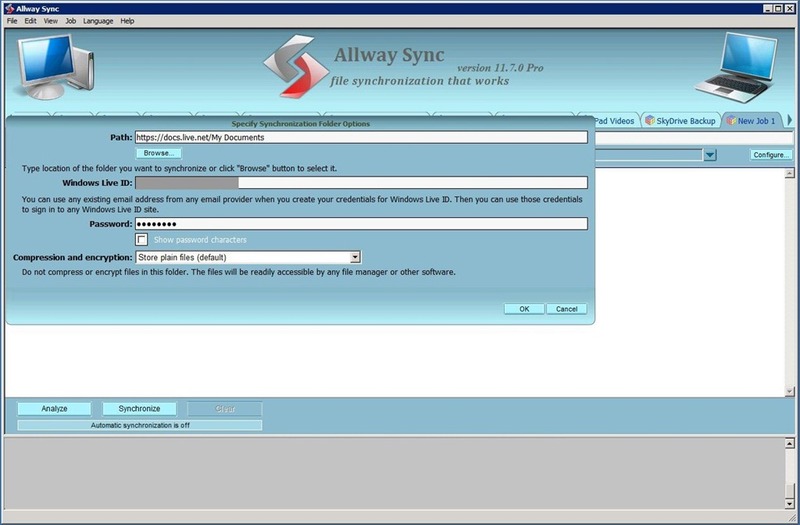 For more information on how to use AllwaySync, check out my video.